An unhealthy diet affects the brain. There are many foods that cause dementia. Consuming processed foods, complex carbohydrates, and sugar stimulates the production of toxins in the body. These toxins can result in a buildup of plaque in the brain, and cause inflammation. How important is a healthy diet? We know it helps with good heart health, keeps blood pressure in control, helps lower the risk of cancer and diabetes, and keeps many illnesses at bay. One thing which you may not be aware of is that it also impacts your memory. A poor diet increases the chances of developing dementia and Alzheimer’s disease. According to a study published in the journals Alzheimer’s & Dementia and Stroke, people who drink sugary beverages often may have poorer memory. They may also have smaller brain volume and a smaller hippocampus. Hippocampus is an area of the brain that is important for learning and memory. A follow-up study about diet soda and dementia concluded that people who drink diet soda daily were three times more likely to develop stroke and dementia when compared to those who did not. Dr. Matthew Pase from the Neurology Department at the Boston University School of Medicine says that excess sugar from these drinks may cause cardiovascular and metabolic diseases like obesity, heart disease, and type 2 diabetes. 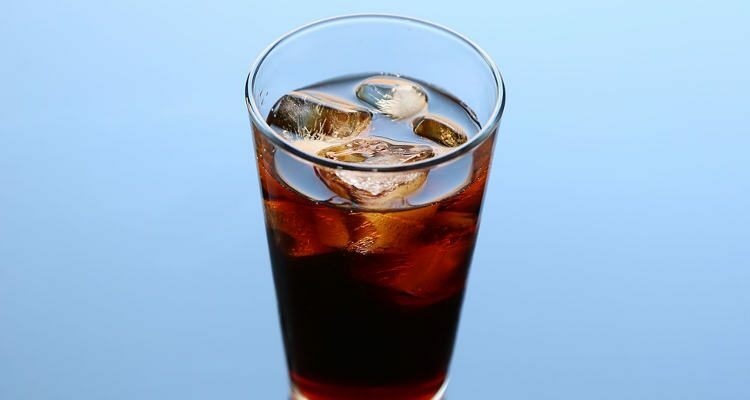 Professor of neurology at Boston University School of Medicine and a faculty member at Boston University’s Alzheimer’s Disease Center, Sudha Seshadri, says that there is no upside to drinking sugary beverages. Even substituting sugar with artificial sweeteners won’t help. In a study published in Alzheimer’s & Dementia, researchers examined data from magnetic resonance imaging (MRI) scans and cognitive test results on people who consumed more than two sugary beverages such as soft drinks, soda, and fruit juice or three servings of soda per week. The researchers found signs of accelerated brain aging. All these are risk factors for early-stage Alzheimer’s disease. Another study published in Stroke studied people who suffered a stroke or diagnosed with dementia due to Alzheimer’s disease. The researchers monitored people based on their beverage intake and concluded that sugary beverages and stroke or dementia aren’t correlated. However, they found that people who drank one diet soda per day were three times more likely to develop stroke and dementia. Diet soda and other sugary beverages aren’t the only cause of dementia. There are other foods that cause dementia. Beer: Beer contains nitrites, which can cause Alzheimer’s disease. Microwave popcorn: It contains diacetyl. It is a chemical that may increase amyloid plaques in the brain. White foods: Foods like white sugar, white rice, white bread, pasta, and cake cause a spike in insulin production and sends toxins to the brain. Processed meats: Processed meat like bacon, smoked turkey, and ham contain nitrosamines. They cause the liver to produce fats that are toxic to the brain. Processed cheese: Consuming processed cheese like mozzarella sticks, Cheez Whiz, and American cheese can cause Alzheimer’s disease. Moran, B., “Is Soda Bad for Your Brain? ” Boston University Research, April 20 ,2017; http://www.bu.edu/research/articles/soda-bad-for-brain/.